​Liverpool have agreed terms with Chelsea youngster Dominic Solanke, with the young striker set to join the Reds when his contract at Stamford Bridge ends on July 1. The Anfield club announced the capture in a ​statement on their website on Tuesday afternoon, although both the length of Solanke's contract and the fee Liverpool will have to pay - which will be decided later at a tribunal, with estimates of around £3m - remain unknown. The three-time England Under-21 international is currently playing at the Under-20 World Cup with England in South Korea, starting all of his side's group stage matches up front and scoring once from the penalty spot as they progressed with two wins and a draw. The youngster spent more than a decade attached to the Blues at Academy level, also spending a season out on loan in the Eredivisie with Vitesse in which he scored seven goals in 25 appearances. Don't see any problem in signing a talented young prospect like Solanke for a minimal fee. Low risk, high potential payoff. Makes sense. 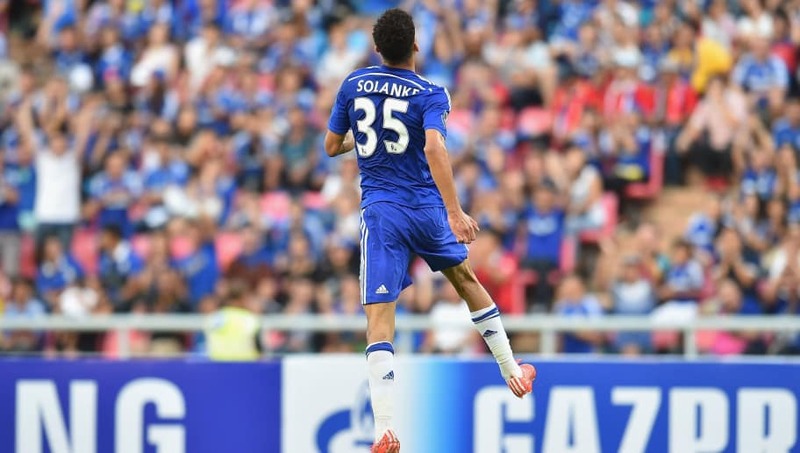 Reports have suggested that Chelsea were keen to keep hold of Solanke, but failed to reach terms with their former Academy player of the season and European Under-17 champion. Solanke was one of two players to leave Stamford Bridge on Tuesday afternoon, with backup goalkeeper Asmir Begovic departing for Bournemouth in a deal believed to be worth around £10m. Who will make the difference in the European Cup final?